Ohio TeleCom will Install, Service and Repair Nortel BCM FAX User Guide Meridian Business Telephone Systems in Dayton, Columbus, Cincinnati Metro Areas. the Express Messaging Line bypasses the greeting and the Automated Attendant. fax messages, refer to Receiving a fax message on page 8. Messaging Line. 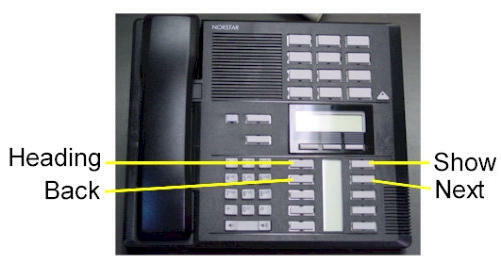 Then you can inform people of your direct fax line number. telephone number and a brief message after the tone. your mailbox and perform the initialization steps. is not assigned to your personal mailbox, press OTHR. 3. Press ADMIN or °. 4. Press GREET or ¤. 5. Press REC or ⁄. Note: Press ALT to record your Alternate Greeting. 7. Press YES or ⁄. at a pace that is easy to understand. Personal mailbox greeting on page 6.
press PLAY or ⁄ to play the greeting. 10. Press®to end this session. person, they hear a fax tone. pressingƒ·°fl. The fax message is sent to your mailbox. mailbox. To check messages you must open your mailbox. new and saved fax messages you have. identification number plays before the voice message. 1. Press PLAY or ¤ to retrieve your new fax messages. 2. Press fl until you find the saved fax message you want to print. mailbox, you can transfer the call to your mailbox. 1. Pressƒ·°fl. Do not put the call on hold. The caller hears your mailbox greeting. 2. Enter your mailbox number. The fax message is left in your mailbox. 2. Enter your password and press OK or £. the preset fax telephone number. 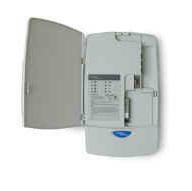 press EXT or ¤ to enter the fax extension number. 7. Enter the fax telephone number and press OK or £.